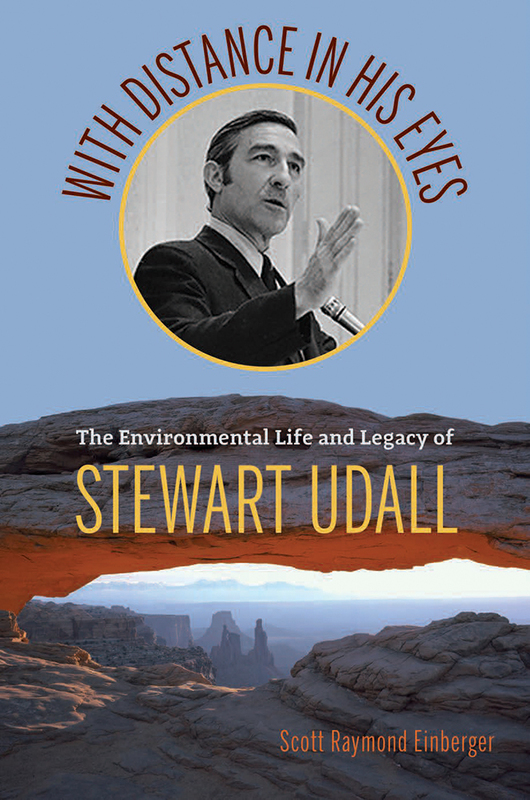 One of America’s most significant architects of conservation and the environment, Stewart Udall, comes to life in this environmental biography. Perhaps no other public official or secretary of the interior has ever had as much success in environmental protection, natural resource conservation, and outdoor recreation opportunity creation as Udall. A progressive Mormon, born and raised in rural Arizona, Udall served as the U.S. Secretary of the Interior under the presidential cabinets of John F. Kennedy and Lyndon Baines Johnson from 1961-1969. During these eight years, he established dozens of new national park units and national wildlife refuges, wrote the Endangered Species Preservation Act, lobbied for unpolluted water, and offered ways to beautify urban spaces and bring the impoverished out of poverty. Later in life, he continued as an advocate for conservation and the environment, specifically by proposing solutions to the challenges associated with global warming and the widespread use of oil. What can we learn from this farsighted individual? In a day and age of partisan politics, poor congressional approval ratings, and global warming and climate change, this captivating biography offers a profound and historical record into Udall’s life-long devotion to environmental issues he cared about most deeply—issues more relevant today than they were then. Intimate moments include Udall’s learning of the Kennedy assassination, his push for civil rights for African Americans, his meeting in the U.S.S.R. with Nikita Khrushchev—the first Kennedy cabinet member to do so—and his warnings about global warming 50 years prior to Al Gore’s Nobel Prize-winning film. Scott Einberger is an environmental historian and public lands enthusiast. He lives in Washington, DC.